Confession: since after I’ve written up a fragrance, I seldom get the chance to wear it much, I’ve put off writing about Anima Dulcis and Arquiste for months so that I could pretend I was still testing it while I was actually just enjoying it. As a result, it’s almost become too intimate to review. Mirror: Another reason is that, though we are immensely different, something of Carlos Huber’s experience mirrors mine to the extent that I can get lost in the hall of mirrors. We are both perfume lovers from the New World who were allowed to cross the mirror, first by taking “lessons” with great perfumers – in Carlos’s case, Yann Vasnier and Rodrigo Flores Roux --, then by telling them a story that inspired them and being invited by them to step into the creative process. Carlos’s story was about the wedding of Louis XIV with the infanta Maria Teresa on the Isle of Pheasants, and the fact that both our stories involved the meeting of France and Spain adds yet another reflection… Of course, Carlos went much further, launching what must be one of the most seductive new niche lines in the past couple of years. Novelesque: Finally, the pleasure I find in Arquiste is not only olfactory but novelesque: the more I peer into it, the more narrative strands I tease out, intersecting, cutting across eras and areas, the historical and the biographical, the erudite and the sensual… Finding a structure that takes this complexity into account stumps me. I feel about Arquiste what I feel about perfume: it provides so many points of entry that you could end up writing a novel with Carlos Huber as its time-travelling, cross-disciplinary, continent-hopping, movie star-handsome hero. Shifts: As a Mexican, an architect and a perfume lover gone pro, Carlos is exemplary of a deep shift in the niche perfume world: brands are now being launched by non-traditional industry players (Byredo’s Ben Gorham is another example). The fact that he is Mexican is another shift: traditionally, perfumes claim an exotic inspiration, but in this case, it is the “exotic locale” that emits the story. History, his story: The moments in history picked by Carlos are also linked to his personal story: he is Mexican (Flor y Canto, Anima Dulcis) and studied in France (Fleur de Louis, Infanta en Flor); his family is Jewish (L’Etrog) and comes from Poland and Russia (Aleksandr). Restoration/ resurrection: One of Carlos’s professors at Columbia was Jorge Otero-Pailos, an “architect, artist and theorist specialized in experimental forms of preservation”, () which he conceives as an artistic gesture. Otero-Pailos is keenly interested in traces of time, such as dust or smells. For instance, in his intervention on the Philip Johnson Glass House, he worked on an olfactory reconstruction (tobacco smoke, male colognes and a powdery iris feminine scent) with Rosendo Mateu, perfumer and head of the Puig Perfumery Center. Arquiste is, in many ways, the extension of this approach – perfume as ghostly resurrection but also as today’s reading of a past moment/place. As such, it is a fascinating crossover from contemporary art and cutting-edge academia (an oxymoron, but there you go) into the perfume industry. Anima Dulcis is literally the outcome of Carlos’s project for his master’s thesis on the restoration and conversion of the ex-Royal Convent of Jesus Maria in Mexico (built in 1580). Both the brief of the scent and the scent itself illustrate the principle of Arquiste as a series of embedded stories and/or spaces. In Mexico: a convent. In the convent: a cell. In the cell: a nun. Under the nun’s habit: a lace skirt. Under the lace skirt: pimiento, vanilla and chocolate. The holy of holies: a noble virgin’s body. The convent. “There’s wood, the saltiness of plaster, church incense, the atmosphere of an old building”, Carlos explains. To which I’d add: a faint old-stone mustiness. The history of the convent was chronicled by the Jesuit Carlos de Sigüenza y Góngora as a Parayso occidental, a “Western paradise”. This Góngora was a friend of Sor Juana Inés de la Cruz, one of the greatest writers of Latin America, who wrote that man was “a synthesis composed of qualities of angel, plant, and beast”. An apt description for perfume as well. The food. The nuns were the daughters and nieces of Spanish conquistadors, who experimented with the strange foods offered by the New World: chocolate, pimiento, and vanilla. Rodrigo Flores Roux composed an interpretation of a dessert from an 18th century recipe book. The woman. “I found a fascinating painting. You see that under her habit, the nun wore opulent garments. Once she was alone with her servant, she removed her habit… In the 17th century, someone wrote an entire book about the convent and the virtues of the nuns, but there were also controversies at the time because men felt the women had too much freedom and power in this convent. Stories were written about their vices as well: one of the women took baths with her servant girl and afterwards, she made penance. She ended up becoming a saint.” The musky scent wafting from under the lace skirts of these virgins tormented by the flesh, that was Yann Vasnier’s contribution: “He has a talent for skin, for leather”, Carlos explains. The scent. The heat (Aztec sun, flames of temptation): a dash of chili pepper and burning sweet cinnamon. Coolness: a hint of green, bouquets on the altar, cloister garden. Burnished gold like the whorls and swirls of a baroque altar, vanilla molten into resinous amber, the burnt umber patina of patchouli and chocolate suggesting the passage of time but also the dark animalic growl of cloistered flesh -- vanilla comes from vaina, the Latin for “sheath”: add an “g” and you’ll get under the nun’s lace skirts… Animal dulcis. East/ West. 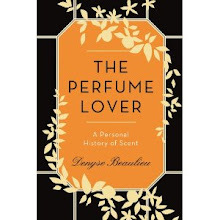 If perfume is by definition the botanically impossible hybrid of plants grown in different lands, it is, also by definition, oriental since it was born in the East thousands of years ago… Yet the oriental fragrance family, as invented by French perfumers, truly came into its own with vanilla, an ingredient from the West. With Anima Dulcis, Carlos, Rodrigo and Yann shift the genre towards its other homeland. Illustration: Assumpta Serna and Dominique Sanda in a screen grab from Yo, la peor de todas, a biography of Sor Juana Inès de la Cruz by Maria Luisa Bemberg (1990). 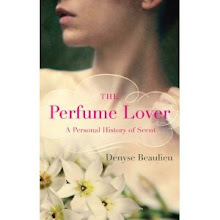 Great post on this lovely perfume! Jordan, maybe Carlos is even a Time Lord? Nozknoz, it's crazy to think my book is coming out in the US a full year after the UK... It seems so far away already! Ines, I love several of them -- Fleur de Louis and Aleksandr being my second and third favorites. I love Flor y Canto too but I've already got several tuberoses! Less keen on the orange blossom (Infanta) because it goes soapy on my skin, and I'm not a huge citrus fan so L'Etrog wouldn't be a priority for me, but it's very good. Dangit. I have been trying to forget how much I loved this when I sampled it. You are not helping! I'm not a big gourmand person, but this stuff is delicious in the best way. It's that cinnamon, I think - I'll almost always take cinnamon over vanilla. ::sigh:: Yet another name goes on the Want List. Amy, what I love about Anima Dulcis is that though it plays on gourmand notes it lets them breathe. The chocolate acts as an animal note while the vanilla tugs towards ambery-woody -- I get a lot of patchouli on my skin. It's one of my staples, and I think, even though they're very different, someone who loves Attrape-coeur/Guet-apens can rock this completely. I'm sorry to hear that yours was the one to disappear though. Ines, somewhere a postal worker is smelling of a dandified gardenia! To me this post is a perfect response to the conversation around your "Newsweek's art critic sniffs out Chandler Burr". What goes in to one's appreciation of a fragrance? Or the making of one for that matter? It's about much more than just odor. It's like when we talk about a painting, rarely do we only speak about technique. We speak about a million things that have nothing to do with technique. Why? Because art isn't created in a vaccuum. And we're curious, we love following the different threads and that's wonderful. Also, I'm hopping on my bicycle right now to sample this one! Because, best part, we get to actually wear these works of art. Anna-Lyssa, that was my intent. I'd rather enter fragrances through elements that are part of the authors' intentions (when there is enough creative liberty to display them in publicly available material), than impose entirely exterior judgments on them. Any element that enhances appreciation makes a work richer. Jared, I'm sure if you dig up more of Carlos Huber's interviews you'll find quotes where he expands on this. I'm intrigued that you'd find any sort of relationship between Anima Dulcis and Rose Poivrée though... Mind you, I haven't smelled the latter for ages. Eva, I'm sure you'll find at least one of the three to your liking -- I really love Fleur de Louis as well.